Amie studied nutrition at The University of Westminster. As a qualified Advanced Holistic Nutritionist, Amie graduated with a Higher International Diploma in Nutrition and is currently studying for her doctorate with the Institute For Functional Medicine. Amie is a member of The British Holistic Medical Association and The International College of Holistic Medicine and is a specialist in food intolerance and gut health. 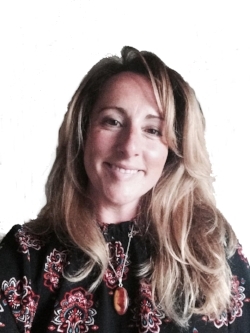 Amie specialises in auto immune conditions, chronic health conditions and rare diseases. As well as her regular TV appearances, magazine columns and health articles in newspapers around the world, Amie was awarded ‘Most Influential Woman in Nutrition Services 2019’ in the Global Excellence Awards. Having felt the healing power of food first hand whilst suffering from fatigue and adrenal insufficiency, Andrea decided that she wanted to be able to support others on their journey to wellness. Andrea graduated from the College of Naturopathic Medicine with a diploma in Naturopathic Nutritional Therapy. 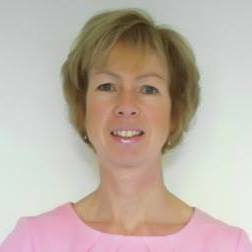 Louise is a qualified Naturopath and Nutritional Therapist as well as a member of BANT and CNHC. Brought up in a family of Homeopaths and Naturopaths Louise found a strong desire to study Naturopathy and Nutrition in her 30's. Having recently become a mother Louise is very passionate about giving children the best nutritional start in life to encourage positive eating habits for life. As well as all areas of family health and pre and post natal care, Louise is also a specialist in gluten intolerance having cut this out herself. Catherine has been a practicing Colon Hydrotherapist since she trained in 2010. She works from a clinic at her home in the New Forest which is situated approximately 30 mins from Salisbury and Winchester. She also worked at ‘Juicy Oasis’ – the Jason Vale juicing retreat in Portugal over a 3 year period. This was an amazing experience and really convinced her of the fundamental importance of a healthy digestive and intestinal system. But her passion is also in the emotional release resulting from the treatment with the ‘gut – brain ‘ connection which is so crucial to how we feel. Catherine is passionate about what she does and we are delighted to have her in the Body Fabulous Team. Having completed his training with Jason Vale’s, Juice Master Academy, Jim brings a wealth of experience to the nutrition team from his time studying The Juice Master Course. Now head of the ‘Juice Fabulous’ division of Body Fabulous, Jim delivers regular Juice workshops and seminars. Having spent over a decade improving the environment through renewable energy Jim is passionate about clean food sources and healing foods for all manner of health conditions. Jim will shortly be completing his final exams as a fully qualified NJT (Natural Juice Therapy) Practitioner, accredited in the UK by the CMA (Complementary Medical Association). As a fully qualified, professional Hypnotherapist registered with The National Hypnotherapy Society, Julie offers Body Fabulous patients hypnotherapy for weight loss using the UK’s No.1 Hypno-Band Weight Loss System, as well as offering one off 'boost' sessions, designed to boost weight loss or health recovery programmes. 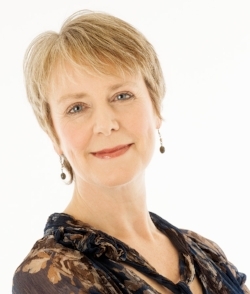 Julie's client centred approach means treatment plans are tailor made to each individual and use a variety of techniques including Cognitive Behavioural Therapy (CBT) and Neuro-Linguistic Programming (NLP). Jolie is the Body Fabulous Office Manager. With professional experience in client account management, events, marketing, web and graphic design, Jolie has also spent the last decade working with women and families as a Birth Doula, holistic therapist, meditation facilitator and most recently working in the area of women’s health. Aimee's experience in PR and marketing within health & well being means she brings a fabulous healthy take on our campaigns and events. Aimee works with local and national press outlets to spread our healthy fabulous message to educate and inform the public about the amazing benefits of healthy eating and how diet can have such a huge impact your health. Aimee has worked with companies which specialise in skin care and health foods, managing all aspects of marketing. She also leads a healthy vegan lifestyle. Vicky has joined #TEAMFABULOUS to help spread the healthy, happy voice of good food, self love and nutrition through the powers of social media.